The majority (60%) of clinicians and the healthcare industry leaders believe effective patient engagement brings serious impact on the quality of care and can substantially decrease the costs in the system, according to the survey held by NEJM Catalyst. Despite existing barriers in the field, every active participant of the industry already extracts value from patient engagement mobile apps. Individual physicians and clinics remotely monitor patient adherence and collect treatment results. Patients use healthcare apps to track and share their symptoms and reaction to medication with doctors. Foundations, associations and researchers rely on mobile patient engagement to provide relevant medical content and raise awareness among people and investors. There’s one more category of healthcare entities that gets considerable benefits from patient engagement mobile tools - pharmaceutical companies. Let’s see how these benefits spin around pharma and contribute to the industry results. How medical representatives armed with mobile apps for patient engagement become more productive. Why doctors are motivated to prescribe medications and treatments paired with apps for remote monitoring, control and self-tracking for patients. What happens when you integrate mHealth apps and other digital tools into trials and researches. Even though it’s medical representatives who drive the adoption of pharma products by clinics, hospitals and individual doctors, less than a half (43%) of MRs can make it through the receptionists, and only 7% will get a chance to talk to a doctor for at least 2 minutes. The statistics of MR efficiency is often not encouraging, to be fair. “Half of cancer specialists are saying that they would directly interact only on new products with MRs. 47% prefer to have communication over the email, 20% decline interaction with MRs, 40% do not meet MRs without prior appointments.” CMI Communication Media Research. Nevertheless, MRs play essential role as the primary channel to translate the benefits of pharma products and influence on major adopters - doctors and hospitals. Today, an mHealth app that improves engagement both for physicians and patients becomes a valuable tool in MR’s hands. First of all, it goes beyond any brochure to explain and visualize the effects and functions of any, even the most complex medical product. Secondly, digital tools augment the benefits of medical products, for example by remote monitoring features of ability to collect important patient data. And finally, introducing mobile patient engagement into healthcare experience promises better efficiency, for doctors, clinics, associations and the whole industry in general. Therefore, such companies as Pfizer, Merck & Co. and Novartis actively equip their representatives with innovative digital tools to strengthen their credibility and relevance, reconnect with target audiences and improve the infrastructure around medical products. In pursue to reach more healthcare professionals and consumers, Merck & Co. issued a dual healthcare app - for providers and patients - that offers convenient access to verified medical content, drug and treatment information as well as large database on diseases, symptoms and up-to-date expert knowledge. These 5-star rating apps met large-scale endorsement and helped the company strengthen connection with key target audiences - doctors and consumers. Another pharmaceutical leader, Pfizer, also counted on patient engagement mobile apps to reconnect with certain demographics. In particular, the company started the initiative This is Living with Cancer and built a LivingWith healthcare app that enables remote interaction between cancer patients and their doctors, support groups and caregivers. This multifunctional app includes tracking, monitoring and document management features and integrates with Apple Health to collect real-time activity data. Today, LivingWith is already in the toolkit of many people living with cancer and their doctors. Translating the benefits of the apps that provide valuable content or enable doctor-to-patient connection in one thing. Try marketing and explaining something as complex as a medical device. Abbott addressed this issue to digital creating its SJM Invisible Trial System. The device, on its own, is a spinal cord stimulation tool for chronic back pain management. Thanks to app-based programming, its functionality is transparently represented on Apple mobile devices for patients and doctors and goes without complex tuning, training and manual controls. As a result, this simplicity in introducing the device improves its adoption and ensures patients stay in therapy for successful pain management. Another device by Roche, CoaguChek XS System for monitoring oral anticoagulation therapy, is equipped with an iOS mobile app that transfers blood test results to assigned sources. Sending data to patient self-check or HCP’s portals, it enables continuous progress tracking. Therefore, the app substantially augments the capabilities of the medical device and encourages its regular use. Medical representatives may be the major channel to market pharmaceutical products. However, it’s doctors who influence the rate of prescriptions and caregivers who monitor product adoption and adherence. Therefore, many pharma companies create efficient mHealth apps to contribute to the efforts of this category of users. Apparently, these tools are here to stay. First of all, digital can and already tackles some of the most lasting problems in healthcare environment - lack of awareness among patients and scarcity of accessible credible content about diseases and treatments, communication barriers between doctors and patients caused by over bureaucratized procedures, insufficient health and social care services, especially in rural areas, to name a few. Secondly, digital tools are receiving more trust among users. Next-gen healthcare apps for patients with personalization features, user-friendly design and adaptive interfaces become more and more ubiquitous among different categories of users, including the elderly and people with special needs. “The number of users who download mHealth apps is estimated to reach 2.6 billion by 2020, with 551 million ending up as active users. In general, mHealth app market is going to reach $31 billion in revenue by 2020.” Research2Guidance report. Finally, these tools bring both patients and doctors previously inaccessible advantages, such as remote treatment monitoring on a day-to-day basis and real-time symptom and health conditions tracking. Here come some of the examples that illustrate how pharmaceutical companies support doctors’ and caregivers’ efforts. One of industry leaders, Novartis built forCare app for caregivers who provide support to people with special needs, chronic diseases or people undergoing complex medication. This functional mHealth app works as a one-stop solution for patient management. It integrates medication adherence and doctor appointment tracking, provides caregivers with all necessary information and instructions for documentation management as well as valuable content that helps caregivers keep the energy up. In other words, it’s an indispensable tool for caregivers that improves their efficiency and makes their jobs easier. Another healthcare app designed for Merck & Co. - ChemoDiary - is focused on cancer patients undergoing complex chemotherapy. This mobile app collects symptoms and side effects during chemo treatment, encourages patients to self-track their reaction to medication, maintain treatment calendar and share personalized medical condition reports with authorized healthcare providers. As a result, doctors receive relevant, up-to-date information on how patients react to chemo medication and can remotely follow every step of a complex treatment process. Pharmaceutical companies conduct thousands of clinical trials and researches annually. It’s a long way for drugs and medical procedures to go from R&D to tried-and-true stage, and a complex process that involves multiple players - sponsors, investigators, doctors, nurses, caregivers and patients. The last two make the core, as caregivers oversee the compliance and patients act as the subjects to provide data. “Patients and caregivers are the heart and soul of this research, no new medical advances would be made without them.” Craig Lipset, Head of Clinical Innovation at Pfizer Worldwide Research & Development. No need to explain why clinical trial data is a valuable asset for every investigation. Its volume determines the term needed to test a drug or medical procedure, while its quality guarantees the credibility and accuracy of trial results. In this context, modern digital tools exceed any other means to collect data. For example patient engagement mobile apps, especially the ones integrated with wearable devices or medical sensors and trackers, can collect diverse data about patient health conditions in real time. Meanwhile, powerful analytics based on smart algorithms can efficiently process this data and turn it into trial results. Therefore, more pharmaceutical companies equip their research groups with digital tools to collect intake and symptom data, track patient adherence to ensure the accuracy of trial data and provide easy access to up-to-date research content and trial results. One of the most vivid examples of a trial companion app is myStudyCompanion by Roche. This app is focused on the patients enrolled in certain drug testing. It provides users with relevant information regarding trial schedule and details and helps patients follow the directions and adhere to the medication at testing. 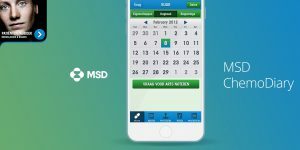 5-star patient engagement app by a technology company Medidata Solutions, Patient Cloud ePro, also simplifies clinical trial process and streamlines in-app symptom data collection. Able to adjust to different types of trials - medication intake, medical procedures - the healthcare app both ensures patients regularly provide their data from the comfort of their homes and comply with trial directions following timely notifications and reminders. Another tool Excedrin Migraine Experience by GlaxoSmithKline doesn’t collect data on Excedrin intake, but makes an attempt to visualize each patient’s migraine experience. Integrated AR capabilities allow app users model their personal migraine symptoms - aura, trumping headache, disorientation, floating spots, sensitivity to light - and share this data with others. This data can make a tremendous impact on our understanding of migraines and contribute to creating better solutions in this field. Apart from helping patients share their symptoms and follow trial directions, pharmaceutical companies invest into the tools to provide trial data and easy access to credible medical content for doctors, caregivers, researchers and patients. For example, the above mentioned GlaxoSmithKline developed an app GSK Studies that allows fast and convenient access to trial data across various medical topics - health conditions, studies, clinical data results, medication and treatment, etc. Novartis enabled easy access to the latest cancer-related trial results from trusted National institutes in its Clinical Trial Seek app. 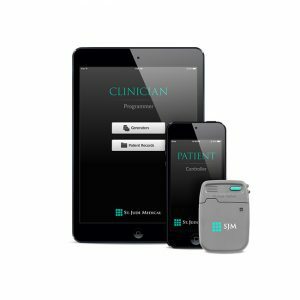 This mHealth tool received 5 stars and high endorsement rate from both patients and healthcare professionals. These examples are numerous, as each pharmaceutical company, be it big players like Pfizer, Merck & Co., Novartis, Roche or smaller enterprises, does its best to reap the benefits of developing technologies and improve its products and processes as fast and efficiently as possible. Therefore, mHealth and next-gen patient engagement mobile apps will remain on the radar of pharma companies, and the decision-makers in the industry will stay among major implementers and adopters of modern eHealth solutions.